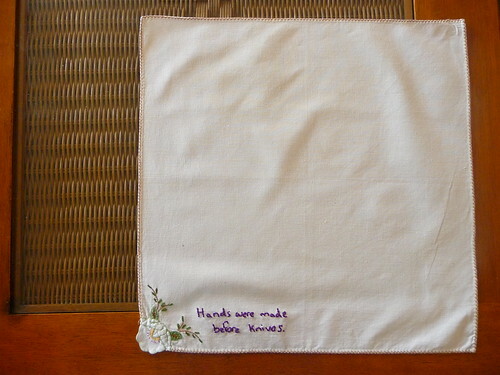 Breaking off from doilies and hankies; now including serviettes! 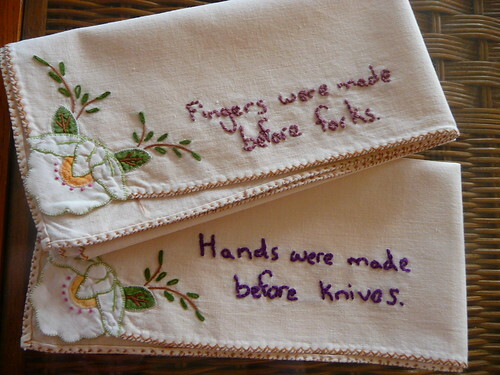 "Fingers were made before forks." 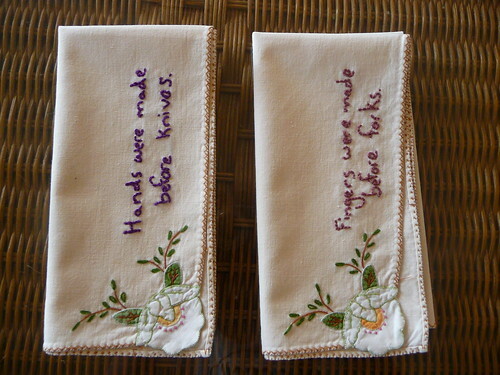 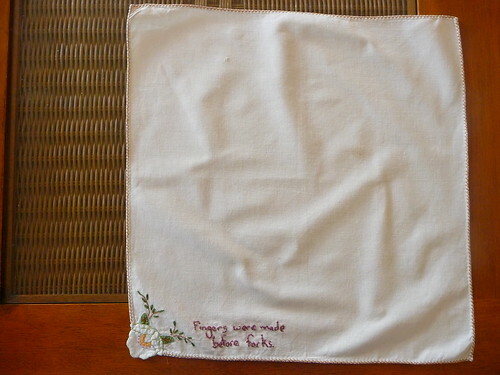 "Hands were made before knives"
I'm digging the idea of these linen napkins, because I think they are beeeeautiful, and could probably be more useful then doilies or hankies. 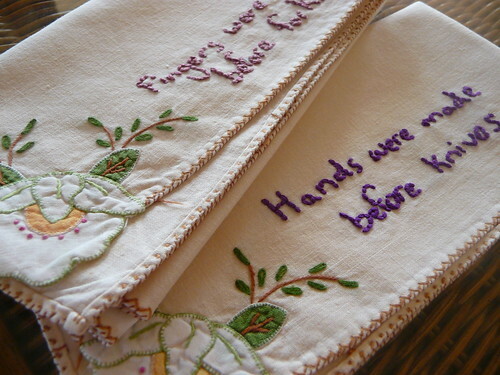 They are meant to go together; the change in thread colour was completely accidental and just goes to show that you I should check and double check!